• Disabled—The port is not participating in spanning tree and is not active. • Listening—The port has received data from the interface and will listen for frames. In this state, the bridge receives only data and does not forward any frames to the interface or to other ports. • Learning—In this state, the bridge still discards incoming frames. The source address associated with the port is added to the CAM table. BPDUs are sent and received. • Forwarding—The port is fully operational; frames are sent and received. • Blocking—The port has been through the learning and listening states, and because this particular port is a dual path to the root bridge, the port is blocked to maintain a loop-free topology. There are occasions when you do not want spanning tree to go through the steps mentioned above (listening, learning, and forward/blocking, which can take up to 45 seconds) but to immediately enter a forwarding state. For example, a PC with a fast processor connected to a switch does not need to test for any BPDUs (PCs do not run spanning tree), and the port on the Ethernet switch should enter a forwarding state to allow the PC immediate connectivity. 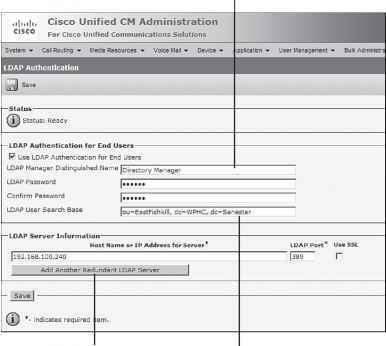 This feature is known as portfast on Cisco switches. To enable portfast, use the Catalyst command set spantree <spantree number> portfast <interface> enable. NOTE Concurrent Routing and Bridging/Integrated Routing and Bridging, Routing Information Fields, Source Route Bridging, and Source Route Translation Bridging are not covered in the CCIE Security written exam, and they are not part of the blueprint.